With you in 20 minutes. 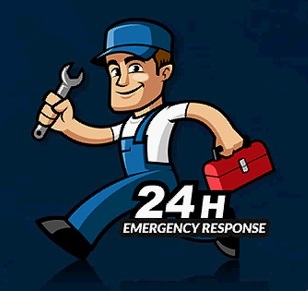 Our locksmiths are available 24 hours a day, every day of the week. Book now and we can be with you within as little as 20 minutes of your call. - New Lock Installation in Jerez de la Frontera. - Lost your keys, lost your house or office keys? - Quick Lock Repair. Emergency or not. We are working around the clock, in order to make sure that we are here when our customer need us. If you´re locked out, don´t worry. We have an expert who can help. If you need a locksmith on Jerez de la Frontera, Emergency Locksmith in Jerez is your first choice. When an emergency strikes, Jerez de la Frontera locksmiths is ready to help. If you´ve lost your keys we can get you back in your home with minimal fuss. We appreciate from our experience how stresful it can be when you locked out of your home, we will be with you as fast as possible and resolve the problem as smoothy as we can. We suplly all types of locks, and cover the locksmith work: lock out services, broken keys, lock replacement and other services.. Please get in touch for inmediate assistance by giving us a call on 605 911 169 and we respond you inmediately..
Each locksmith carries all the tool that we will needed to complete any of many Jerez de la Frontera locksmith service we offer. If you have been the unfortunate victim of a break-in, Jerez de la Frontera Locksmith is avaible to help you. We will make you obtain the peace of your mind. We will repair your lock or install a new one. our services are available 24/7, so you can get back to your house as soon as possible. We can guarantee a professional service who are specialise in resolving any lock issue. Let us take care of all your locksmith problems. Just call us and we will be there in about 20 minutes. When you need us, we´ll be there. If you have a lock emergency, simply call our team of emergency and we will take care of the rest. So do not hesitate to contact us on 605 911 169. Entendemos que la urgencia relacionada con las cerraduras no pueden esperar. We understand that locks related emergencies cannot wait. Passionate about locks & experienced Jerez de la Frontera Locksmiths.